It was a win in the end and we grabbed those crucial three points, but the game against Fulham on Sunday was not without its drama. Sadio Mané put us into the lead after exchanging passes with Roberto Firmino who cut the ball back for Mané to hammer home his 20th goal of the season. Then, in an uncharacteristic mix-up at the back, a woeful combination of Alisson and Van Dijk gifted a soft tap in for former Liverpool man Ryan Babel. Thankfully, we were awarded a penalty after Sergio Rico dragged down Mané with ten minutes to go. Stepping up to the plate, James Milner put the ball down on the spot and blasted his penalty down the middle of net to secure us the win. 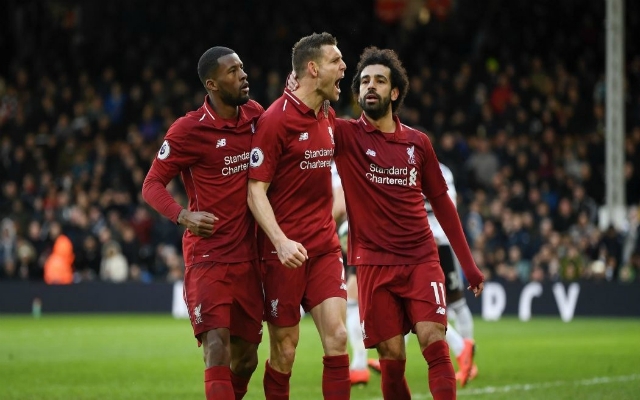 Milner was so composed; his experience and zen-like attitude in the face of huge pressure is a massive boon for us as we keep pace in struggle for the league title. After the game, Millie and Van Dijk spoke to Sky Sports; the former valiantly took the blame off Van Dijk for Babel’s equaliser and explained what was going through his mind after the penalty was given. “It was me who put him [Van Dijk] in the mire to be fair!